Every weekend without fail, I would be out with my friends in our towns very mediocre club. We liked it that way. We liked to complain about how bad it was, whilst still ending up there each week. Worked all day Saturday? Working the next day? No problem. You would always find me at the bar chanting JAGER JAGER JAGER. I’ve been partying in Magaluf and Sunny Beach, but oh how times have changed. I now couldn’t think of anything worse. 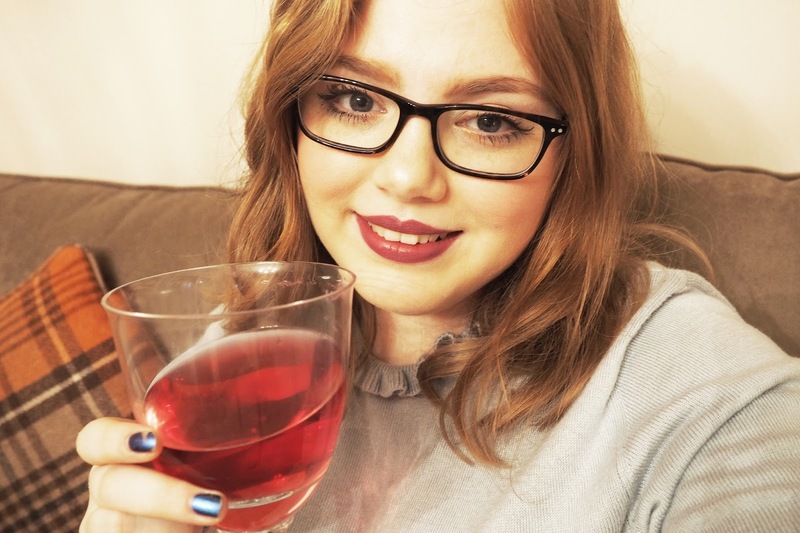 I much prefer cosy nights in….. WITH alcohol. Thats the thing. I still LOVE ME A DRINK. (I’m sure anyone that watches my Instagram stories knows this) I guess I’ve just fallen out of love with the environment that comes with drinking. Don’t get me wrong, sometimes I need to go out, let off some steam and have a boogie, but the majority of the time, clubs and bars make me feel really anxious and on edge. I know what you’re thinking… WHAT CHANGED? How could I go from absolutely loving life to wanting to curl up into a ball, even at the mention of a clubbing night? The simple answer is OCD. The monster in my mind likes to create all sorts of scary scenarios. The monster in my mind likes to be in control. The monster in my mind doesn’t like alcohol. Alcohol makes me forget things. Tiny little things. But that’s the thing. My OCD literally feeds off remembering EVERY single detail. What happens if I don’t remember things EXACTLY? …..
My mind creates scenarios that didn’t happen at all. But they feel SO vividly real. Having these thoughts inside a cramped, hot, sweaty and rowdy environment just isn’t good. (Usually about contamination or getting spiked or something). Don’t even get me started on the toilets inside of clubs. Those alone have sent me into such an anxious panicked spiral that I have had to hop in a taxi and go home. Yep. This is what my life has become. Getting frightened by toilets and having to go home. This doesn’t happen at home though. It feels safe. I like socialising. I like having a few drinks. So why miss out? Why not merge the two together? Looking back, I remember at aged 16/17 absolutely ITCHING to be able to get out there and party the night away. If anyone didn’t ‘like’ going clubbing they were dubbed as ‘boring’ but right now I’m loving ‘cosy nights in’ and house gatherings so much more. YOU GET TO WEAR COSY JUMPERS AND SOCKS. YOU CAN GET LIKE 6 DRINKS FOR THE PRICE YOU WOULD PAY FOR 2. YOU CAN ACTUALLY HEAR WHAT YOUR FRIENDS ARE SAYING! YOU GET TO CHOOSE THE MUSIC. Who’s winning now? These days I don’t drink to get drunk. In the past, that is all alcohol meant to me. I used to drink purely to get drunk. I simply liked the giddy feeling. But I now appreciate drinks for their taste and enjoy them, especially when they taste as good as Rekorderlig. It’s like drinking a glass of yummy squash. Plus their flavours mainly consist of berries, and my gosh you all know how much I love a berry. Jordan and I most weekends will snuggle up, with a couple of drinks and pop on Netflix. This time is good for us because although we live together, we don’t actually see each other all that much in the week. Adulting eh. I usually opt for a glass of wine or a fruity cider. 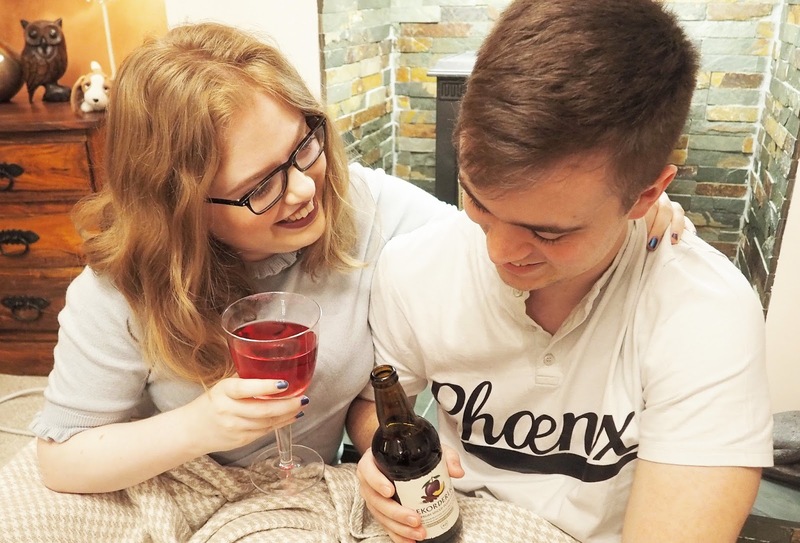 Last weekend we tried Rekorderlig’s LIMITED EDITION flavour* – Spiced Plum! Let me tell you, it is SO yummy and the perfect drink for a cosy night in… because you can enjoy it hot or cold. I don’t know about you but I LOVE hot Ribena. On this occasion we didn’t try heating up our ciders, but I am going to be grabbing some today for this weeks night in and we will try it! I wouldn’t say it is particularly *spicy* and by spicy we obviously don’t mean all the CHILLIIIIIII we mean in a PSL kind of way. Cinnamon and all things yummy. Some of my friends often tend to find Rekorderlig far too sweet, especially the Strawberry & Lime one (not me, I flipping love it) however I think this Spiced Plum has a good balance of flavours. The ‘spiced’ element mellows down the sweetness and lets the plum shine. Am I being cheesy? Yep. I don’t mind. Basically just get yourself down to the supermarket and try it yourself okay? Describing flavours is DIFFICULT. I’m really loving a few things on Netflix at the moment, so I thought this post would be a good time to share them. You can’t have a cosy night in without binge watching your favourite programmes until it asks you ‘if you are still watching’ – which of course you answer YES. I will admit. I’m sure some people would find this programme REALLY REALLY irritating and annoying, because yes, some of the things that are said are kind of weird, especially when they randomly burst out into song. This happens about 4 times an episode so get used to it. Jordan’s always like WHAT THE FLIP ARE YOU WATCHING. (this isn’t one we binge together) But I love it. I feel like it’s a really nice ‘feel good programme’ – it makes me giggle. In some cases it is very relatable, everyone always had that person that they longed to be with, but said person was totally oblivious to it all. Other cases it takes things WAY too far, but that is the bit that makes me literally laugh out loud. This is a new one for me. Netflix are being little flirts and only letting us have 1 episode a week, so there are only currently 4 episodes out there so it isn’t exactly a binge fest. On social media it is being dubbed as the ‘if you like Pretty Little Liars then you will love this……’ Anyway it is similar to PLL in the aspect that it is all mysterious, the WHO DUNNIT situation and you guys all know I love these kinds of programmes and books. Each week we are given a new piece of exciting information, usually in the last 5 minutes… they have to make us want the next episode RIGHT NOW somehow don’t they?! Since it is still very new I don’t have TOO much to say about it. I just know I look forward to every Friday for the new episode! I would say this is one of the best programmes I have watched on Netflix in a long time. Maybe EVER. Who knows. It is flipping AH-MAZING and so addictive. So please only commit to this programme if you have lots of free time and nothing to do. I cannot be held responsible for any time lost watching. The acting is amazing, the editing is REALLY clever. It took me an episode or so to get into it, just to kind of get the gist of what the flip was going on. But after that, absolutely hooked. I made the mistake of getting Jordan interested in it because it meant whilst I didn’t have a job I couldn’t binge watch it during the day *BOO* – I don’t want to say too much because it is easily ruined. Basically just go and give it a watch like right now, and avoid Google for the life of you, SO. MANY. SPOILERS. I’m looking to begin You Me Her, Santa Clarita’s Diet and The Goodwife. Has anyone watched these? Do you have any other Netflix recommendations for me? Oh yeah guys, in case you haven’t seen on social media – I HAVE A JOB!!!! I GOT A GRAPHIC DESIGN JOB!!!! I DID IT. 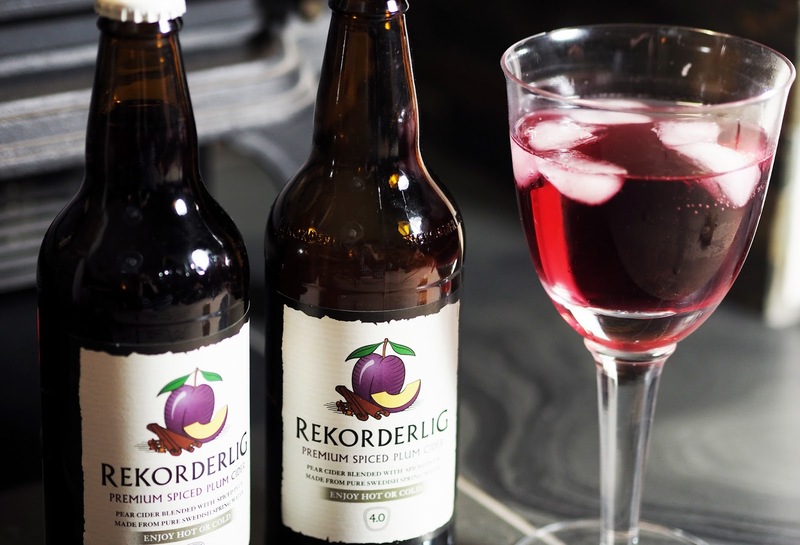 Will you be picking up a few bottles of Rekorderlig’s super yummy Spiced Plum cider? HURRY it is only in stores for another week or so. I’m going to be picking up a few myself. By a few, I mean like 10. Can you relate to anything in this post? Just remember. Don’t let ANYONE tell you that you are boring if you say you don’t like going out. Nor let people call you boring if you don’t like to drink alcohol at all. At the end of the day it is about what makes YOU happy. I love the photos in this post, they are so cute! Also, big YES to Crazy Ex Girlfriend, you'll love Santa Clarita Diet too, I watched it all in one night… ooops. I used to love partying too but I'm not a fan of being surrounded by drunk people. I LOVE Riverdale too and strawberry & lime is the best flavour! I'm actually 18 now and all of my friends are out clubbing, and don't get me wrong, I do enjoy going out however I choose not to drink. I suffer with severe emetophobia so drinking is a no go for me. I do much prefer a cosy night in, where you can pick the music and yes…actually hear your friends haha! I'm with you 100%! I used to always be out clubbing no matter what I had going on. Now the thought makes me cringe! I'll stay in with my friends and a few drinks, thank you! Yes to this!!! A drink & pjs is my idea of heaven. I love Rekorderlig but haven't tried the plum one, it sounds delish! Totally going to give crazy-ex girlfriend a go right this minute, I've heard so much about it and Rob is out haha! I'm struggling to see what's not to like about this post. 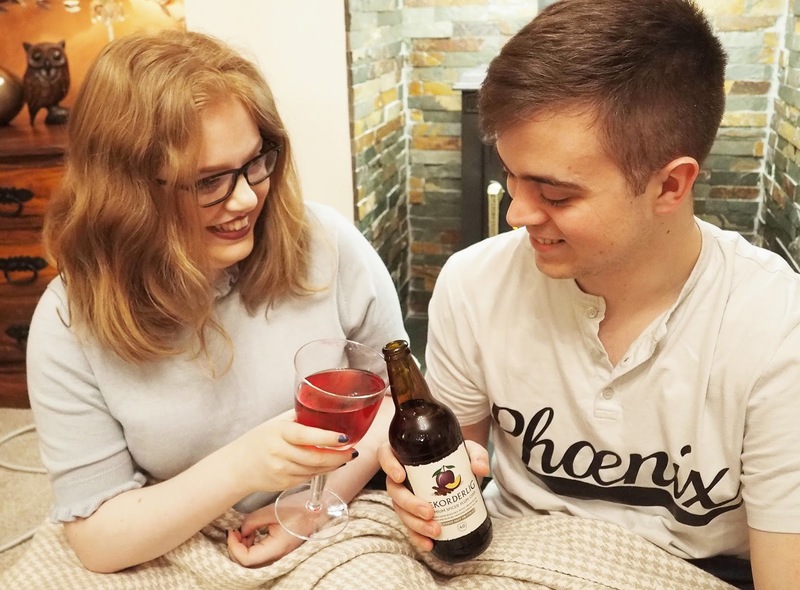 Your photos are lovely, it's so nice to see a real photo of you both enjoying the cider, and the close up shot makes me want to take a sip right now! I also love that you kept your writing style very much the same as your other posts and included a personal story, as a reader I find that very trustworthy. It was also great to see you reminding people that it's absolutely fine not to drink! For me, this is the perfect example of a sponsored post. This is a very good post and fir the sponsor to not be happy with it, in my opinion, shows them to be narrow minded frauds. How dare they say they would be happy for you to take down the post. I won't be buying from them out of principle. netflix wise I wholeheartedly reccomend Dirk Gent;y's Holistic Detective Agency it is so damn good and worth watching. I absolutely loved this post and really connected with it! Everyone is going on about 'Crazy Ex Girlfriend' on Netflix so I definitely think I need to give it a watch. Great blogpost Kayleigh, it was a very awesome and inspiring to read. I often feel guilty for staying back at home when friends go partying and stuff, but my mental health is often the reason for it and I just prefer chilling haha. Thank you for this blogpost again and your photography is amazing! I love this post! Beautifully written – you describe the tastes very well! I love love love The Good Wife, and they've finally put up Season 7 – I'd definitely recommend it!